We are engaged in offering a huge gamut of Red Chilli. 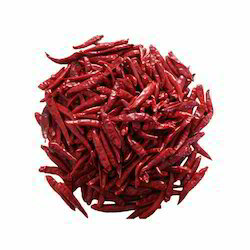 As a quality focused firm, we are engaged in offering a high quality range of Indian Dry Red Chilli. We serve you S4 SANNAM, S17 TEJA , 273 SEMI WRINKLED , BYADGI FULLY WRINKLED, GUNTUR SANNAM, 341 LONG, RAMNAD MUNDU. 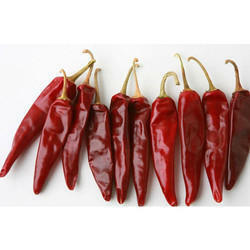 We have gained a remarkable position in the market that is involved in offering Indian Dry Red Chilli. We are supplying Super quality of chillies. Chilies have antioxidants that can destroy cholesterol which could cause major disease like atherosclerosis and other heart diseases. Other disease like cataract and arthritis like osteoarthritis and rheumatoid arthritis. It also dilates airway of lungs which reduces asthma and wheezing.